The intricate ethnic artwork on display on the body of this Wooden Round Box with Meenakari Work is sure to impress buyers of such exquisite Read More..designer wooden pieces. 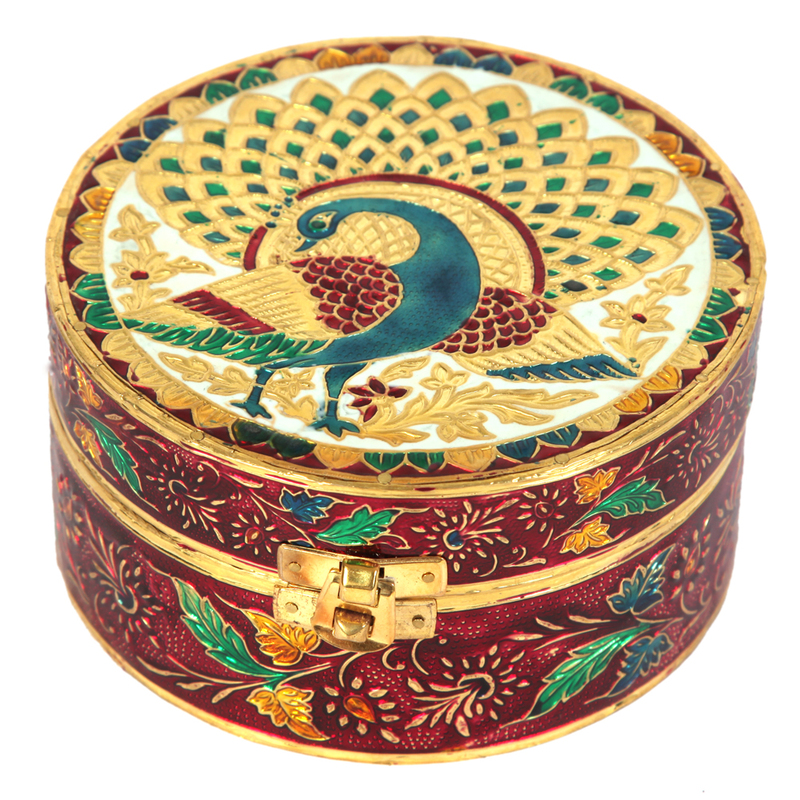 The exquisite peacock design adds to its visual splendor, while the sturdy wooden body makes it a reliable choice for keeping various household items including valuables. Thus, this wooden box makes for the ideal choice for buyers looking for a fine combination of aesthetics and usability. Show Less..